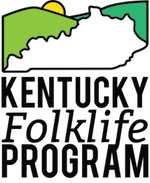 The Kentucky Folklife Program, based at Western Kentucky University, has a long history of working with the Kentucky Arts Council to document, present, conserve, and teach the public about the rich heritage of folk and traditional artists working in Kentucky today. This award celebrates the legacy and creative industry of traditional stringed instrument makers who are vital to Kentucky musical culture. This award is given in honor and memory of master luthier, musician, and educator Homer Ledford. Known for his superb craftsmanship, impressive productivity, inspired innovations, generous spirit, and willingness to teach anyone interested in his art, Homer had a profound impact on musical communities throughout Kentucky and far beyond. Many luthiers and musicians remember visiting his basement shop in Winchester, Kentucky where he immersed himself in his work while sharing techniques, wisdom, and stories surrounding his cultural heritage. Ledford’s legacy lives on among today’s musical craftspeople, and this award symbolizes that legacy. NOMINATE A LUTHIER NOW FOR THE 2019 AWARD! Read a profile of our most recent winner, Doug Naselroad and keep up with award news here.